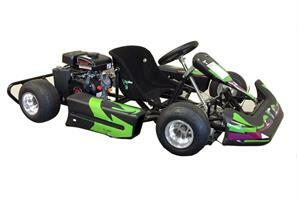 Voodoo VK1 is an awesome Race Kart for KIDS has features of Race Karts costing much more. For Kid ages 5-8, accepts Predator 3hp 4-stroke Engine, Hydraulic Disc Brakes, 25+ mph. KIC Race approved! See the Adult Models too! 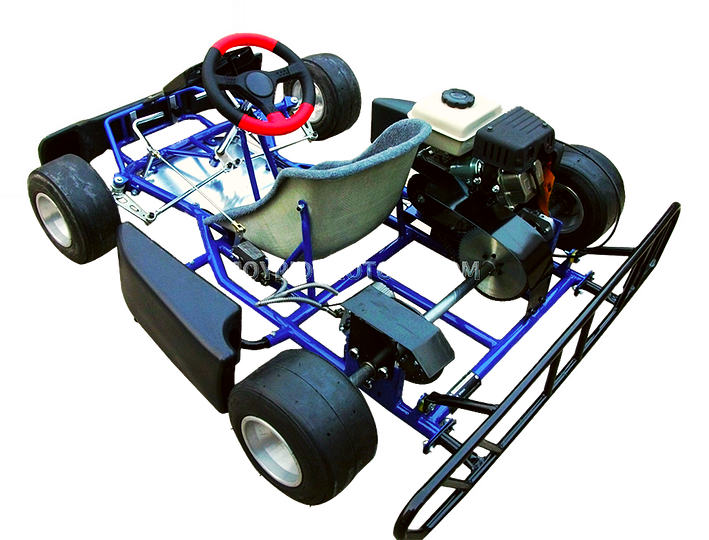 Complete with a bucket seat, foot controls, racing tires, hydraulic disc brakes, and a racing steering wheel! This model is geared towards kids in the 5-8 yr old range. 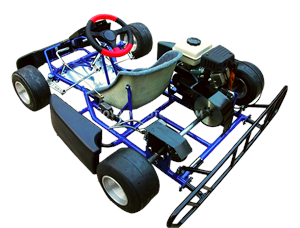 An excellent starter kart for your child. Get yours today! Distance from back of seat to the pedals: 29"